Had a wonderful breakfast with two sons this morning: one by blood (Noah), the other by blog (DocintheBox). Noah and Sean have known each other via email and MySpace, but it was their first chance to meet and share stories. Good times. So good to see you nad spend some time. Hope the climb up the Thumb was fun... Safe trip, Sean. 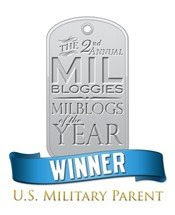 Just a note: I'll be serving on a panel at the Milblogging Track at the Blog World Expo in Las Vegas in early November. Open to the public (but y'all have to register). Hope to see as many of you there as can fit it into your hectic schedules. It is so nice to see those smiling faces. Thank you for the post and the link. We are thrilled you can join us in Vegas. 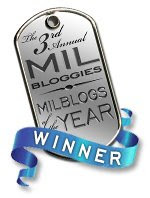 I loved your panel at the Milblog conference this May and can't wait to hear more. I will be seeing you in Vegas, how lucky am I?